This weekend I finally did it!! 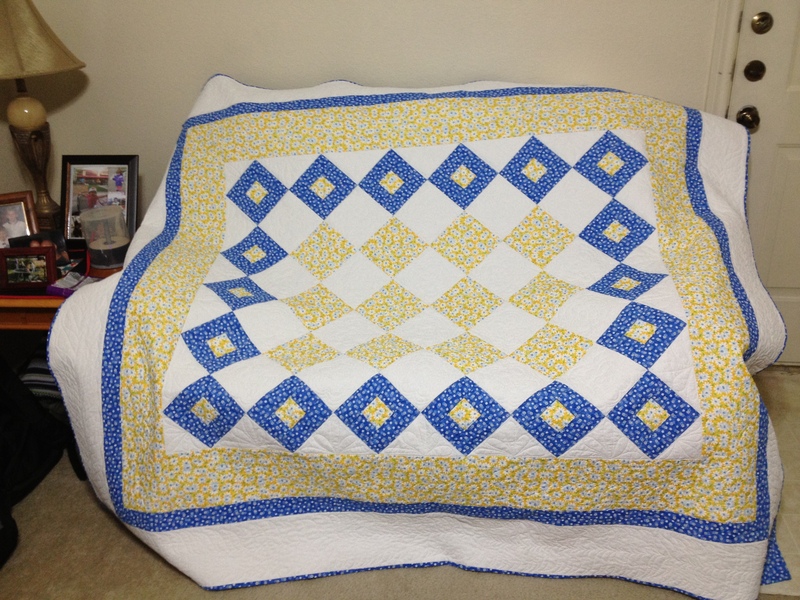 I received a call from Linda who had my blue and yellow Sage Garden Quilt that it was ready to be picked up! 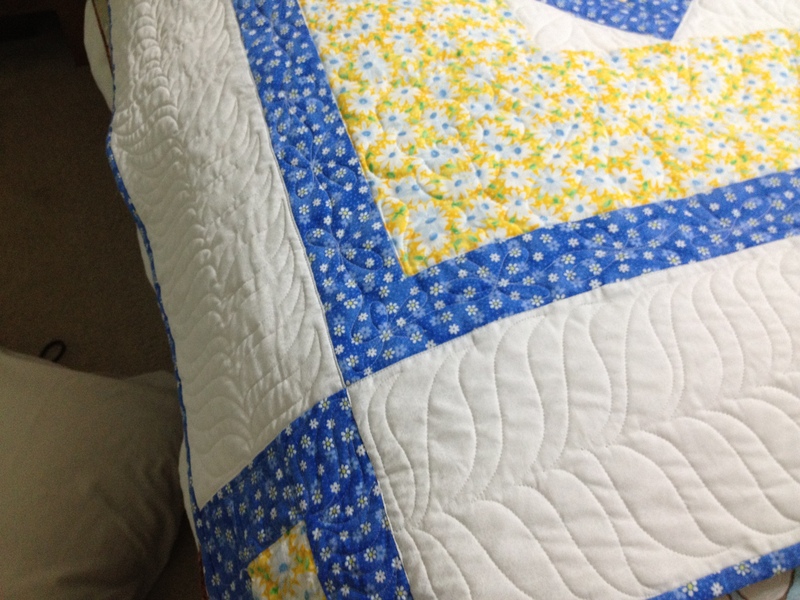 After wrapping up what Kay and I were working on we drove the 45 minutes to the quilters and picked it up. It turned out so very beautiful and I could hardly wait to get it home. 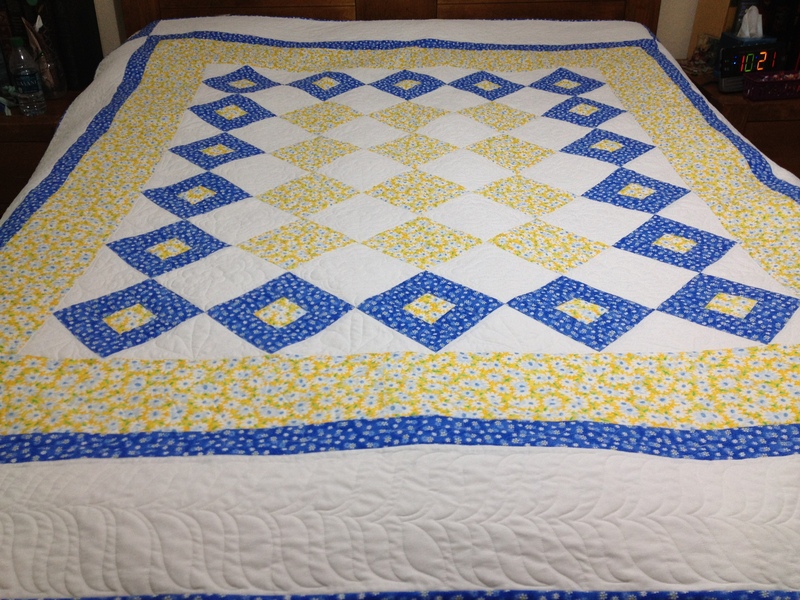 What I didn’t know at first touch, was how stiff it would be with that much quilting on it. I was actually unprepared and we started joking about it being so stiff that it may just walk off on its own. 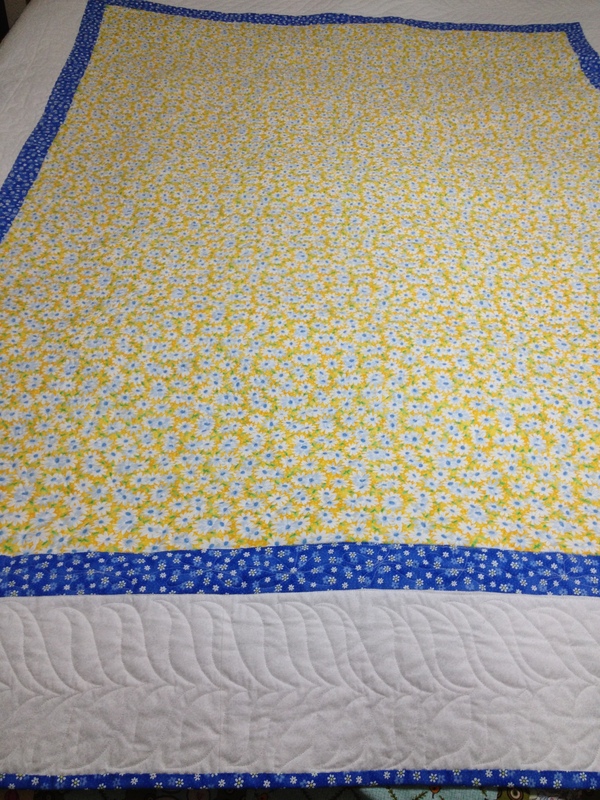 When I got it home and pulled out the fabric to use for the border, it was close to 8pm already. Determination set it however and I put most of the fabric together for the binding… yes I said “most” of the fabric. Like any great story with trials and tribulations, I hadn’t measured correctly and while sewing the binding on came up a little short. Not to worry though, I quickly added two more strips on and I was off and running. 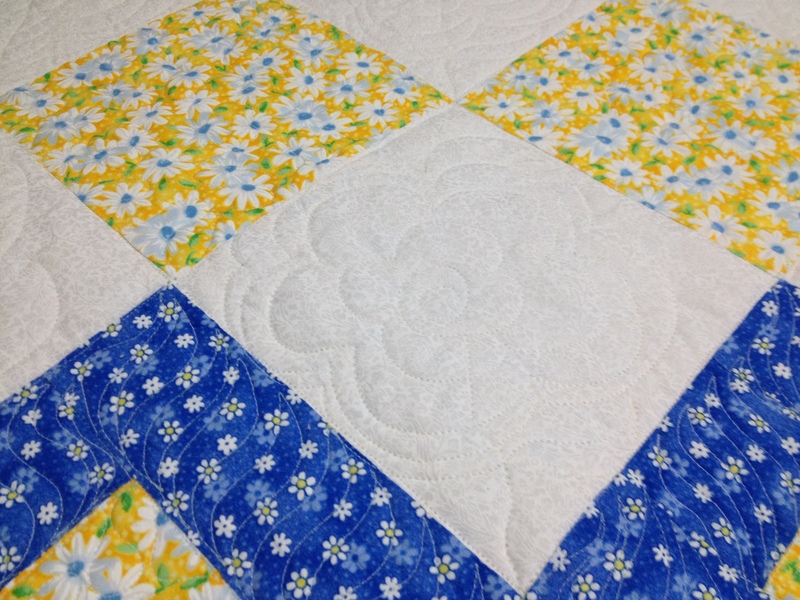 No one every mentions it, but when you have something with that much quilting pushing the needle through the fabric is very difficult. On several occasions I looked at my finger at the hole that was forming from where it created an indentation! Well, here it is, I’m very proud of how this turned out. Now I have but to put the label on to put it in use.